Choosing an early childhood program is one of the most important decisions a family can make. A focus on continuous quality improvement. Virginia's child care and early learning programs show their commitment to quality by joining Virginia Quality. Virginia Quality offers continuous quality improvement resources and support to participating child care centers, preschools, and family child care homes across Virginia. Virginia Quality also provides reliable and consistent information about early care and education options so that families can select programs according to their values and priorities. Research shows that quality child care and early learning programs positively impact children’s development, resulting in more success in school and life. 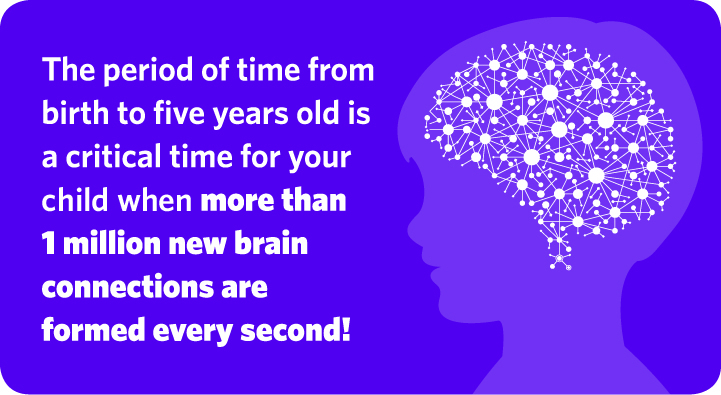 Young children’s brains are built from the bottom up, with early experiences setting the stage for all later development. What are the Virginia Quality Regions? What does a quality level mean? Early learning programs participating in Virginia Quality are focused on top-quality in areas proven to matter to children's school success. The program is in compliance with requirements of state and local regulatory agencies. The program recognizes the importance of having teachers who have or are working towards formal education in child development or early childhood education. The program works to use curriculum, child assessment, and intentional teaching that promotes children’s development and incorporates state early learning guidelines. The program strives to have children engaged in meaningful learning and play by offering them a variety of materials and activities throughout the day. Daily, supportive interactions between teachers and children form the foundation for social and cognitive learning, significantly impacting school readiness.